Volunteers share their life challenges, along with positive stories and encouragement. We find a job for everyone as we see the wellbeing benefits of getting into action and achieving a productive Garden together. 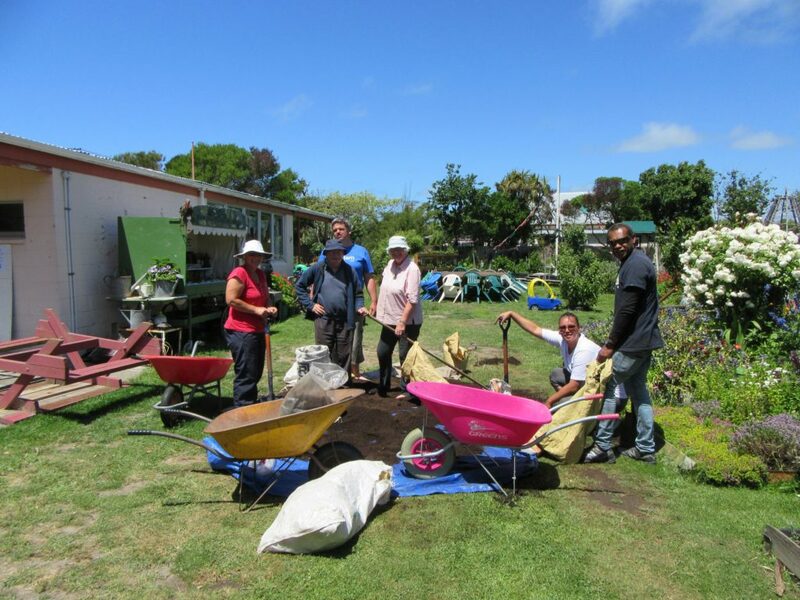 People can come and spend time in the gardens helping with weeding or composting. Some volunteers offer their help for bigger projects like building seating areas or helping with the irrigation system. Some come to help with the watering of plants or to help mowing the lawn, some like to work with seedlings. Some all-rounders just jump in where they are needed the most. 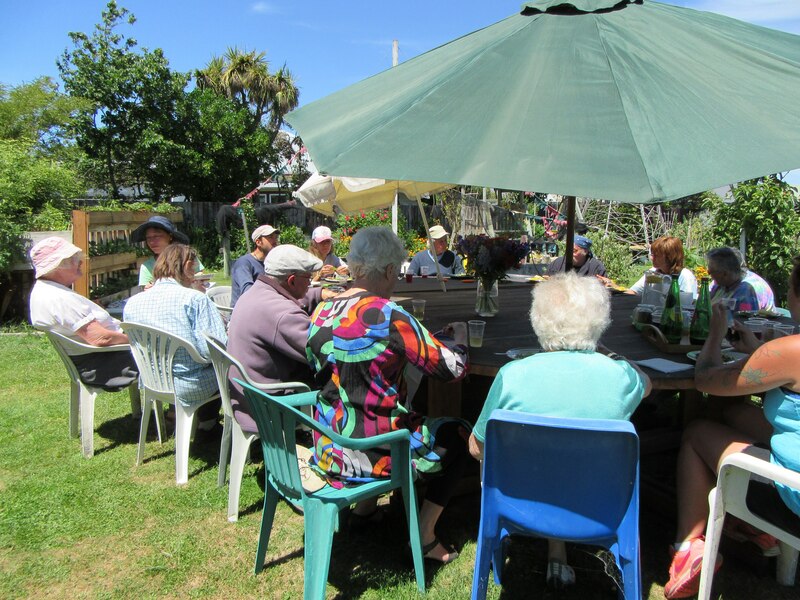 Around noon the volunteers like to join for lunch and a nice chat around the big table. All of them enjoy their times in the Gardens and a lot of former volunteers keep coming back, reminiscing about the beautiful hours spent here. There is no time limit for volunteering but if visitors help for two hours per week they get organically grown veges for free. There is no age limit for gardening, young and old welcome. Preknowledge is not necessary as everything that is important is taught on site. Even better, most of the Garden’s volunteers are experts themselves and support each other if there are any questions.